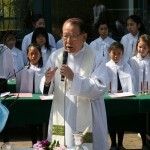 May is considered the season of the beginning of new life. 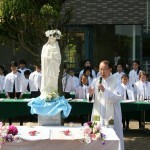 It is also often called Mary’s month in popular devotion. 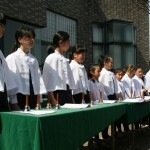 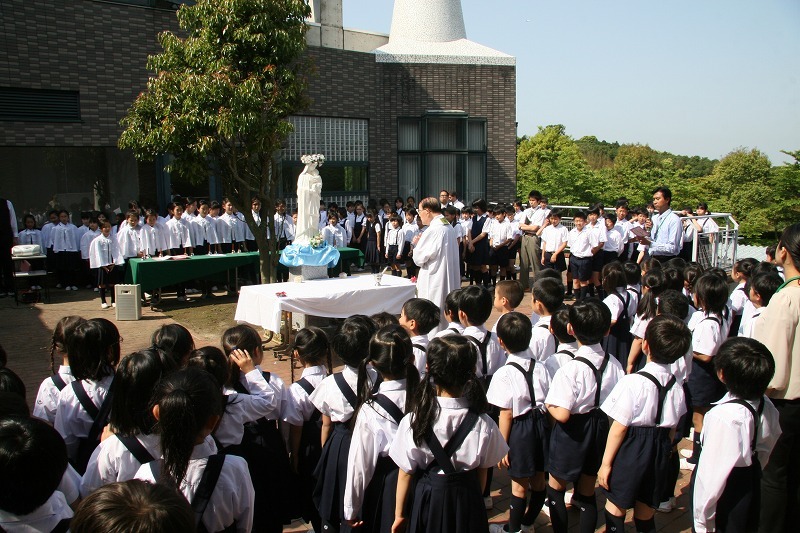 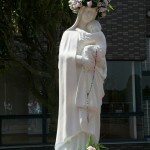 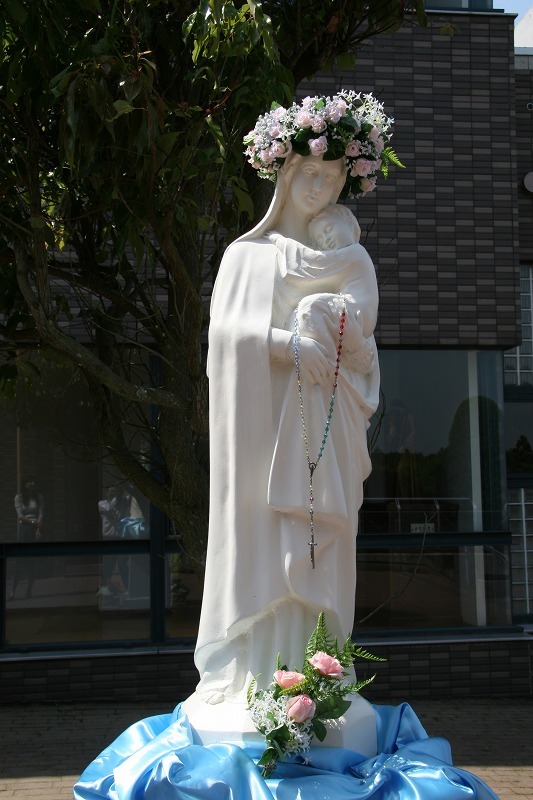 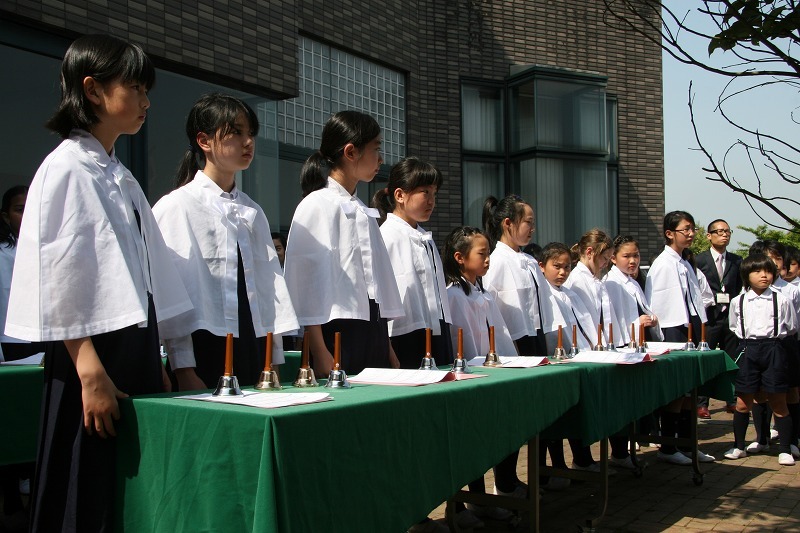 Last Tuesday, May 14 our school celebrated the annual dedication for Mother Mary. 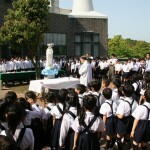 Students, teachers together with our school principal Fr. 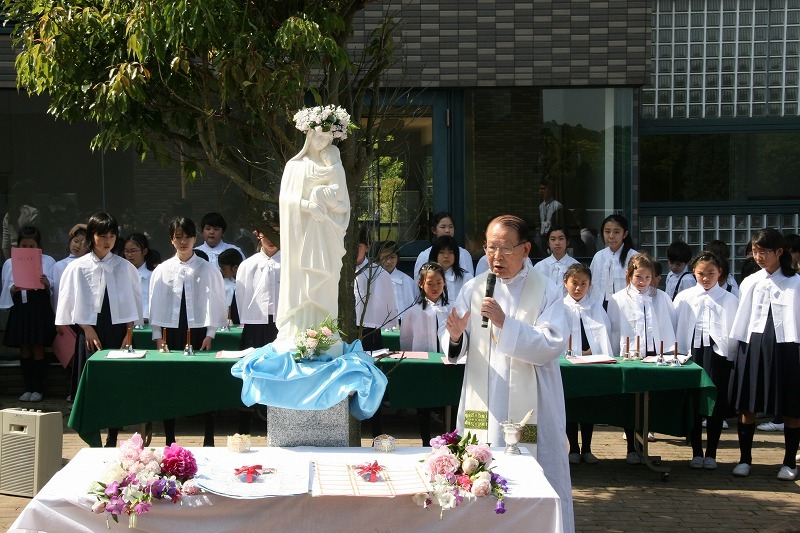 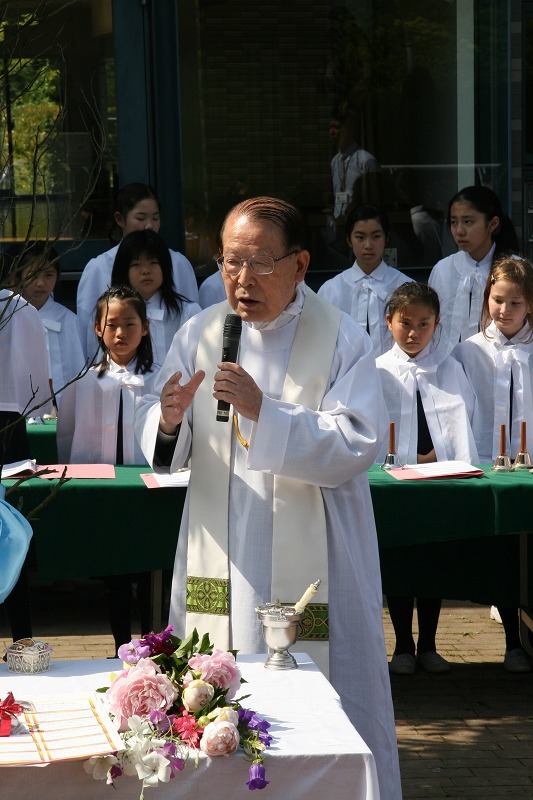 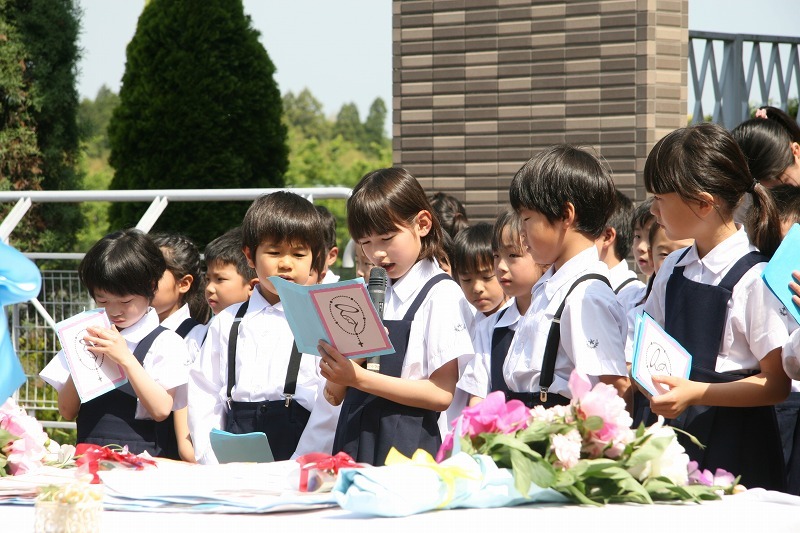 Tagawa honored her with offerings of songs, class prayer cards, prayer messages from class representatives and flowers to indicate Mary’s virtues that were meditated on by everyone to remember her message to pray for peace that will be the highest treasure on earth.